science education | Science, I Choose You! Field trip at the Chicago Field Museum! 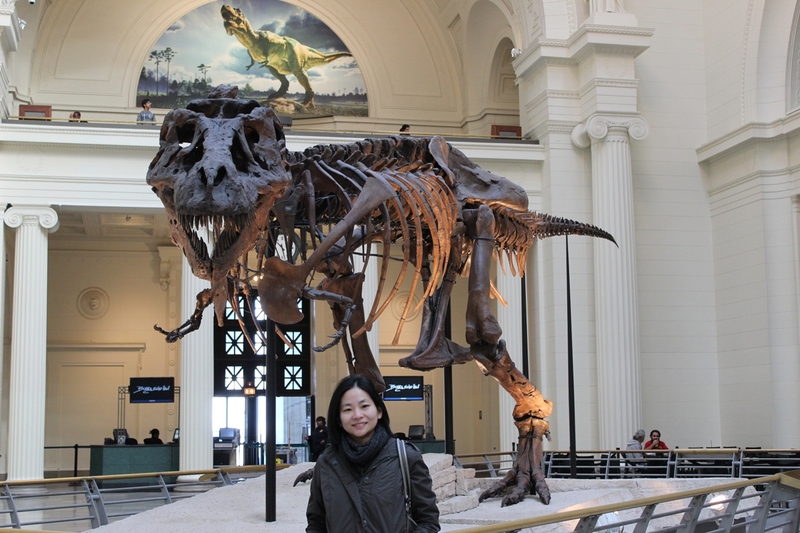 I took a little break before attending two conferences to visit the Field Museum of Natural History in Chicago. 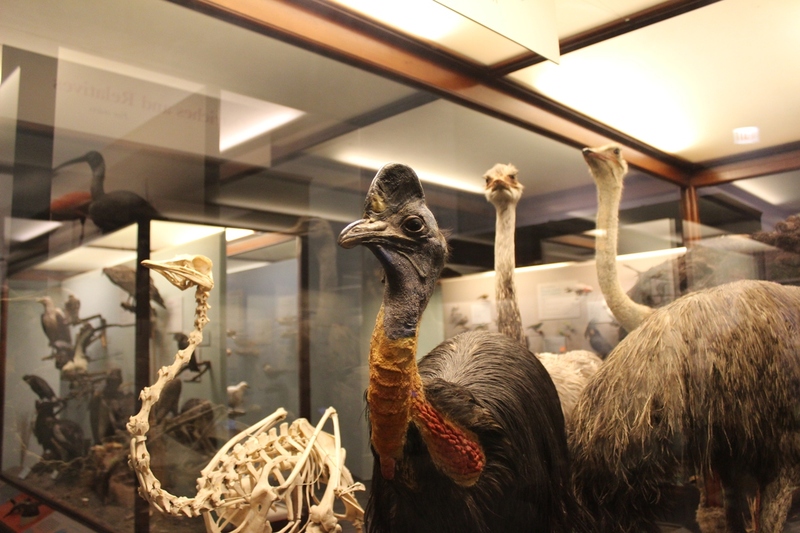 Personally, I am a huge fan of natural history museums in general. 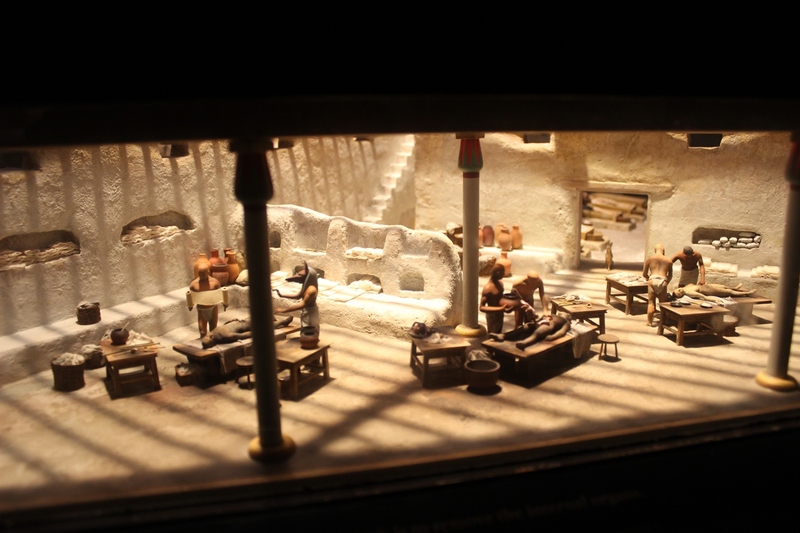 Job-wise, it is an opportunity to see what kind of demonstrations and interactive elements museums incorporated into their exhibits. I simply could not miss the opportunity to visit the Field Museum. The Field Museum was originally born as the Columbia Museum of Chicago after the famous World’s Columbian Expo on September 16, 1893. It was later renamed as The Field Museum after Marshall Field, the owner of several department stores in Chicago at the time and the major benefactor of the museum when it was first founded. The Field Museum is one of the largest Natural History Museum in the US. 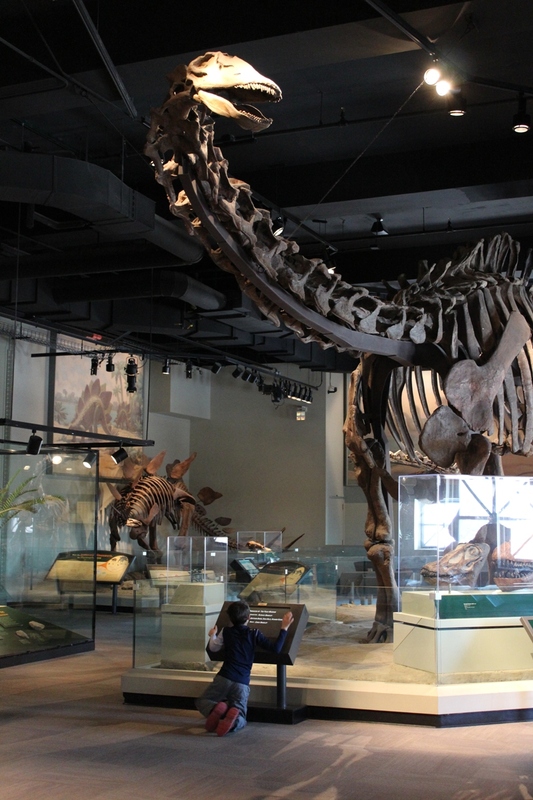 It hosts over 24 million specimens and objects, and attracts more than 2 million visitors every year. I was told that at any given time, we see less than 10% of all the specimens available at the museum. Pretty impressive. 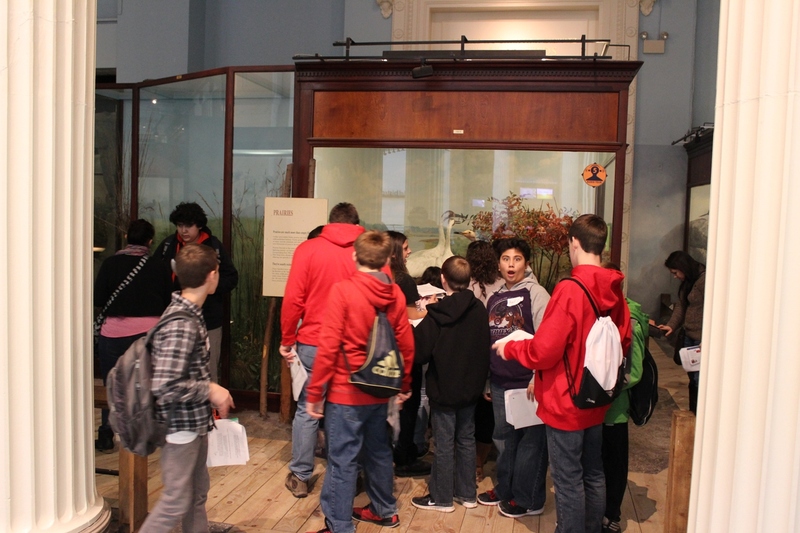 Some students visiting the Field Museum. The kid in the photo totally photobombed this haha. Sue the T. rex – Sue is a famous Tyrannosaurus Rex skeleton at the Field Museum because it is the most complete T. rex skeleton discovered to date. “It” (the gender of the T. rex is actually unknown) was named after its discoverer Sue Hendrickson. Photo in front of Sue! 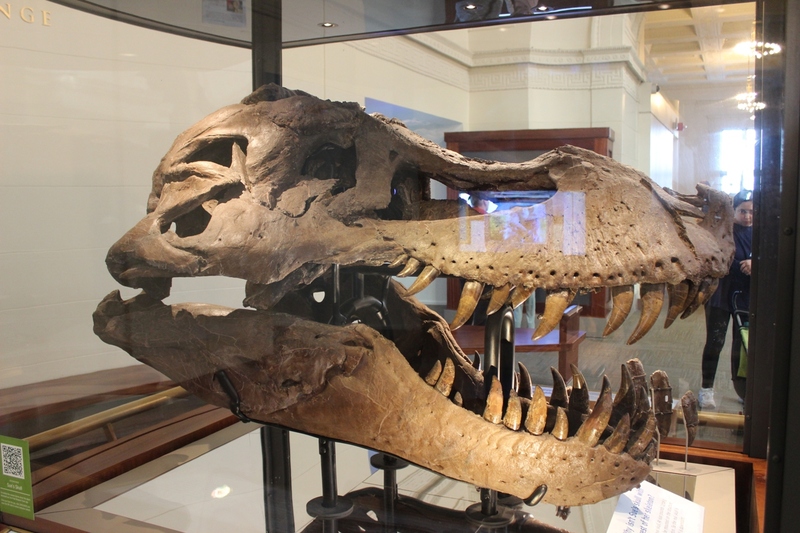 Sue’s skull weighs 600 pounds, which is too heavy to put onto the full skeleton, so it is actually sitting in a glass cover on the second floor balcony. The Evolving Planet Exhibit – The Field Museum very wisely incorporated all the dinosaur skeletons into the Evolving Planet Exhibit, so we get to see how dinosaurs and us all fit together in the grand scheme of evolution. Some natural history museums failed to do so, and for me it doesn’t quite make sense to just see all the skeletons in one room without knowing how they are part of the earth’s history. Well done, Field Museum! Wonders of the 1893 World’s Fair – The Columbia World’s Fair hosted 65,000 exhibits in ~200 buildings to celebrate Columbia arriving in America 400 years prior. It was considered the event to see in a life time, and many spent all their savings just for a ticket to the fair. 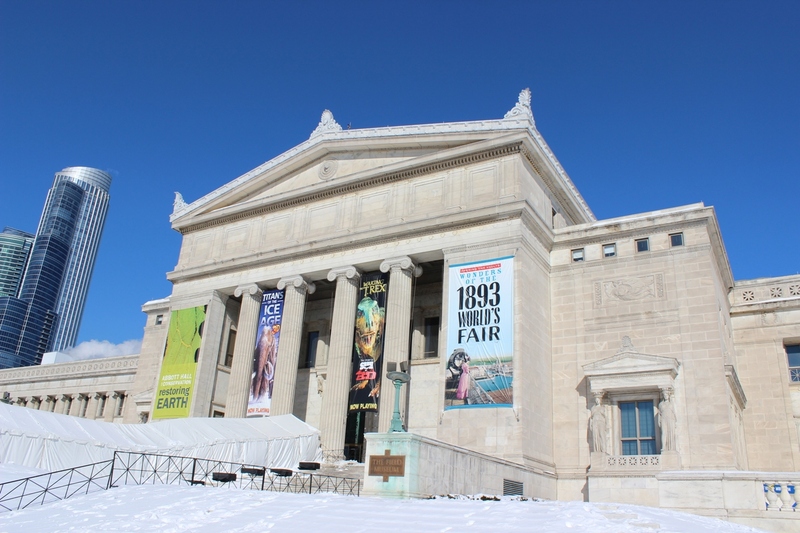 After the World’s Fair, some exhibits remained and became part of the Field Museum collection today. 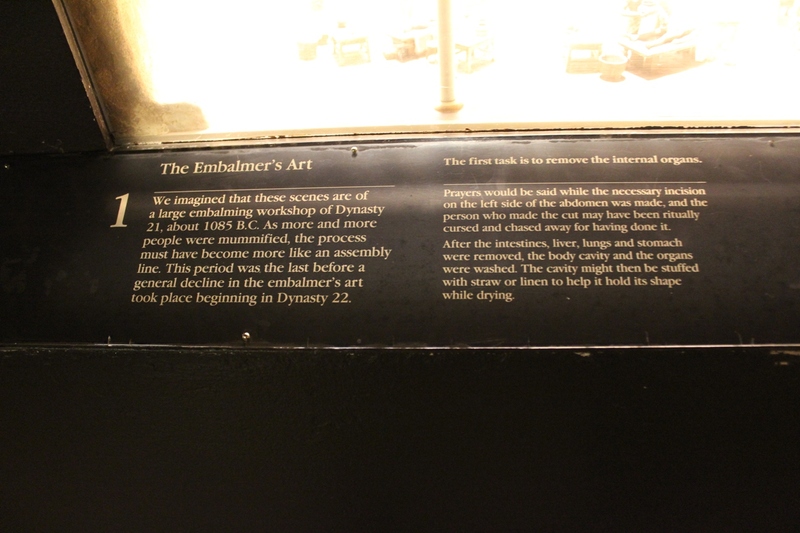 You can find highlights of the exhibit here on the exhibit website. 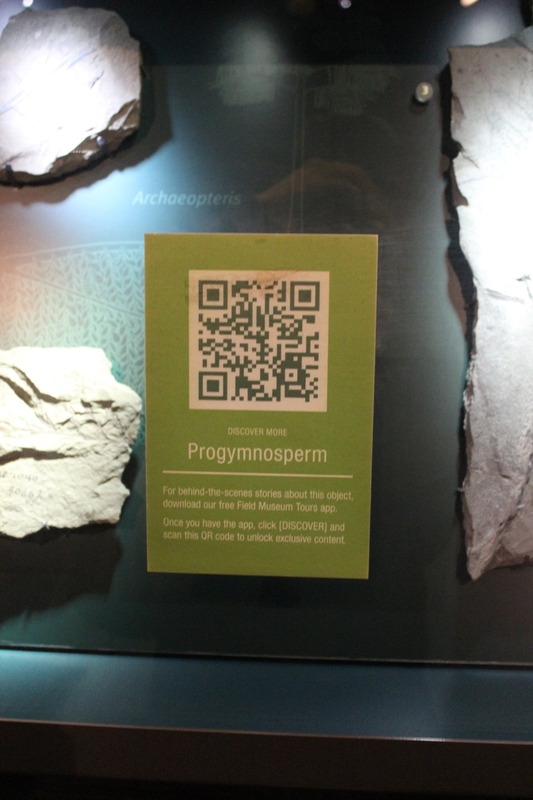 Using New Technology – Some cases have a QR code, which you can scan with your smart phone for more information. 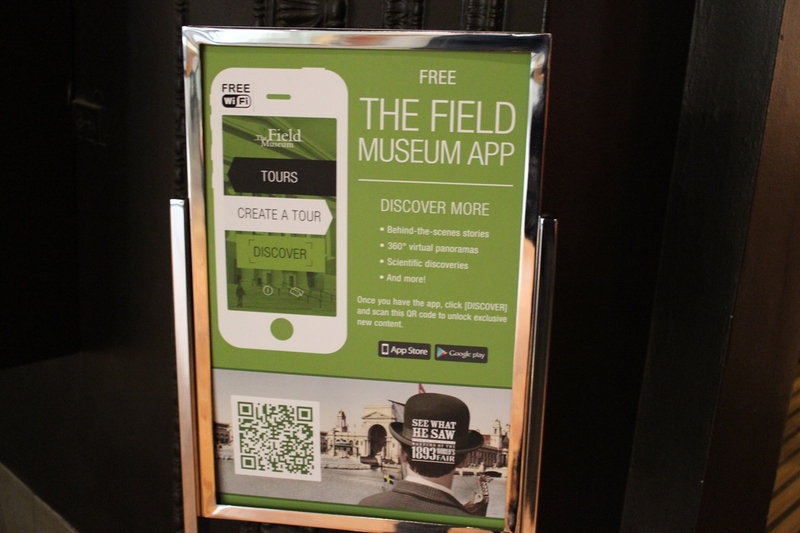 You can also download the museum app and design your own museum tour. Did I mention that there was free Wi-Fi in the museum? 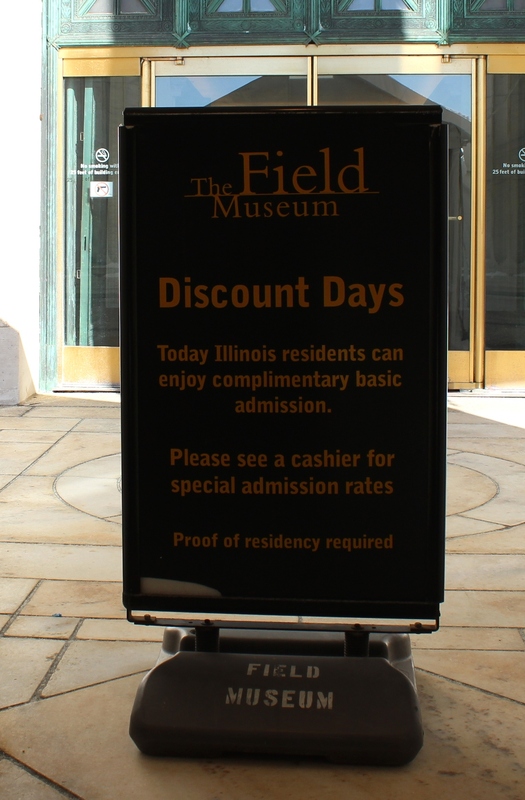 Museum Discount Days – It turns out that Illinois residents can visit several museums and public attractions in Chicago for free on specific days. If you have read my post about museum admission fees, you would know how much I appreciate these discount days can do for science education and outreach. The Brain Scoop – Okay, this is not really part of the physical “Museum”, but we (conference attendees) were invited to the Nerd Night Chicago before one of my conferences. 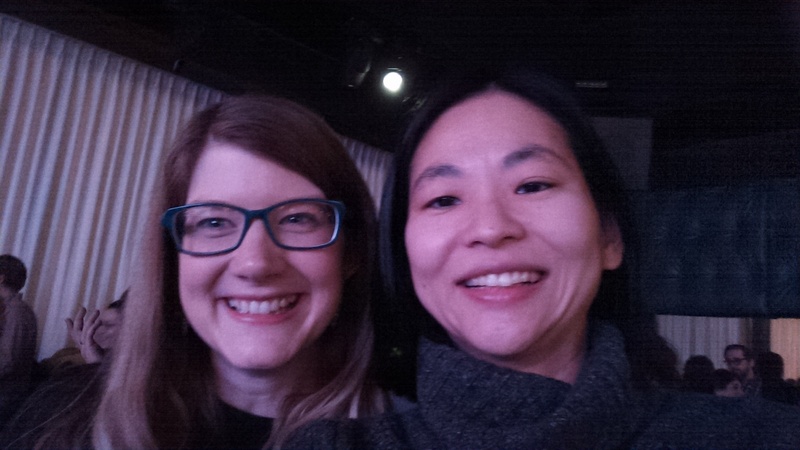 I had the opportunity to meet Emily Graslie, the Chief Curiosity Correspondent of the Field Museum and the person behind the Museum’s Brain Scoop YouTube channel, in person! She makes really cool “behind the scene” videos about the Field Museum. I highly recommend that you subscribe to the YouTube channel. Going to conferences is always very exciting – and this time it is particularly so. First of all, I had never been to Chicago!!! (and NOW I know why people were complaining about Chicago winter…) Secondly, I never thought that I could attend conferences for science outreach and communication. But most importantly, it is an opportunity to meet people from around the world to chat about what we are working on, the issues we encounter, and come up with potential solutions and collaborations in the future. Here are my notes from the session, “The State of Science Events: Reports from Across the World and Across Sectors” during IPSEC. Through the session, I was hoping to learn what other countries are doing for science outreach and communications, how science communication “entities” (for the lack of better words?) are structured, and also how we in Canada do in comparison to other countries – and I was not disappointed. Australia – The “Inspiring Australia” program is part of the Department of Industry, Government of Australia. It’s main objective is science engagement and communication. The program provides science engagement awards, develop toolkits for science engagement, commission reports on science engagement within Australia, organize the Big Science Summit for Science Communication (I want to go to this! Time to buy lottery…), and coordinate the country’s National Science Week. Dinosaurs Spotted in Australia during National Science Week. Just imagine people taking their phones out, looking around for dinosaurs so that they can have photos taken with them and post them on Facebook (free promo for the National Science Week!). They paid selected Australian science bloggers to travel around Australia to blog about science during the National Science Week. You could send an interstellar text message to Gliese 581d, a planet outside of the solar system that is likely to support life. According to Simon, having a national lead is critical in getting university/organization buy-in. This is something to keep in mind. UK – The British Science Association is a charity organization. Based on their 2012 financial report, most of the association’s income came from grant funding, sponsorship, and charging for events and activities. The British Science Association’s vision is a society in which people are able to access science, engage with it and feel a sense of ownership about its direction. We provide opportunities for people of all ages to discuss, investigate, explore and challenge science, through our annual programme of events and activities. We don’t consider tennis or politics just as a thing that tennis players and politicians do, yet science and scientist seems to get that <impression>. So there is still work to do cultural-wise. Europe – The European Science Events Association (Eusea) has 90 members in 36 countries. This means that the association needs to cover 500 million people in Europe who speak different languages. Jan Riise, Director of the European Science Events Association, said that this makes it tricky to have a central conference and to coordinate different events. Because of the difference in language, culture, and geography, science centres, museums, and festival could be quite far apart from each other, leading to isolation and possible miscommnication. Within Horizon 2020, a specific program called “science with and for the society” with a budget of 500 million Euro (!!) will be included – and it seems that Eusea will be well supported via this channel. US – The Science Festival Alliance is a professional association of independent science and technology festivals, supposed by the US National Science Foundation and the Alfred P. Sloan Foundation. It is also the organization behind the IPSEC. The annual report for the SFA is now available online. According to the annual report, almost 1 million people attended SFA member events. The SFA also grew from 17 members in 2012, to 42 members by the end of 2013 – some of which are organizing their first festival event in the coming year. What’s in the future? Its manager Ben Wiehe from the MIT museum mentioned that live science events are finally being recognized these days; for SFA, how to come together to support [each other] but to also allow diversity, is still a puzzle and will be the goal for the coming year. a model at international level for science dissemination; a bench mark for science communication; a melting pot of researchers, artists, creative people, opinion makers with people keen on science, schools, and families; a think tank; an added value for the Country namely the City. The impact of the Genoa Science Festival has been significant, both culturally and economically, as the event brings in a large number of visitors that hotels in the city are typically fully booked. And, this is quite an interesting take on the event – the event charges admission. In some ways, this actually makes sense; the rationale goes that if we pay tickets to see a theatre performance or a concert (cultural events), then perhaps we should pay to attend a science festival. The festival also involves ~700 scientific explainer (university students, graduates, young researchers) during the festival. These explainers go through a training called EASE (European Academy for Science Explainers) and are given the tools necessary for communicating with the general public. In fact, through a collaboration, there is now also a EASE program in Shanghai, China. The festival will be from October 24th to November 2nd this year. In 2015, the festival will be in France in 2015. An exciting time to come – with international exchange, collaborations and contributions! Canada? It is very interesting to see how science event/outreach/communication leaderships take different shapes in different countries – via government agencies, non-profit organizations, and professional associations. All these reports from groups around the world actually make me a little sad and well, envious. At the moment there is no government or non-profit organizations to take on that important leadership role to encourage more collaboration and interaction between different science engagement groups within Canada. Even worse, with how things go in Canada, I personally expect negative news about budget cut, muzzling, or elimination of science programs by the Canadian Government almost regularly. The good news is that there are now many more local efforts for science events and festivals (for example, there are now several major science festivals across Canada – Science Rendezvous, Eureka!, Around the Dome in 30 days, Beakerhead, and likely a few more that I missed. The BC Charter of Science was kicked started a few months ago. The future is looking slightly brighter…but we are now years (if not decades) behind and there is much more catching up to do.